Anderson is one of the best pure scorers around and is tough as they come at the guard spot as well. The 6-2 guard does not hesitate to let it fly, but he is lethal pulling it with outstanding range and uses his body well when penetrating off the dribble also. He is an underrated defender up top as well, and is not afraid to fight for some rebounds. Anderson is just one of those players that instantly makes a team better when on the floor. Cotton has quickly turned himself into a go-to type player from the guard spot after just a year of high school playing up on varsity right away. Cotton is a lights out shooter from the outside with good range. The area he developed the most though is probably his ability to finish against traffic with a nice blend of shots off the dribble with tear drop floaters etc. As he builds more strength and quickness it could be game over for opponents with his ability to tally up points. Davis is a good-sized combo guard at 6-2 also playing up in the 16U level. The young guard out of Minnesota has good quickness and athleticism, solid handles with the ball and can create for himself and teammates when he stays under control. His outside game is still improving, but he has displayed the ability to drain shots from three-point range. 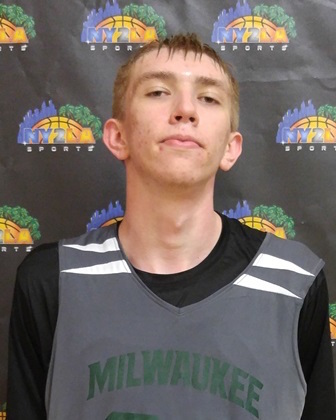 Hauser’s stock has been steadily rising over the past year as he continues to grow both physically and with his game. About 6-6 now, the wing has improved his ability to attack the basket hard and under control while still showcasing his stroke from the perimeter. 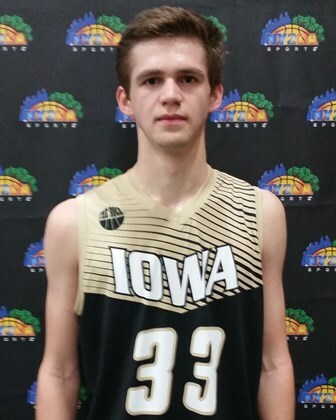 Hauser is a steady rebounder and has become a leader for his team as well. Keefe is a long guard/wing who is still putting his whole game together. Right now, he can shoot the ball outside, inside, he is getting better using a couple dribbles to create space and pull up, and he uses his length well to position himself for tips and rebounds. 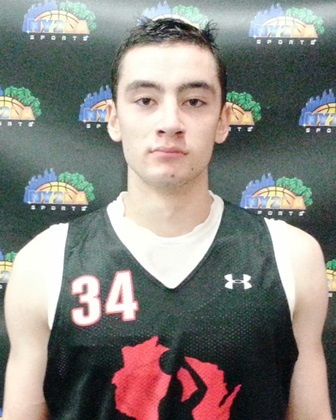 Larson is a tough wing with a good frame and deceptive burst off the initial dribble. He uses his tools well and can create some space for himself to get cleaner looks at the hoop in order to do what he does best... knock down shots. 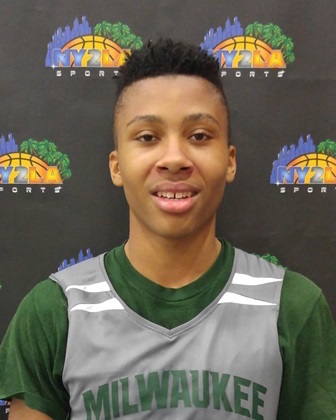 Lewis is a pure scorer with good athleticism and developing frame. His instincts offensively make him a threat from just about anywhere as he naturally moves within the half-court to find or create open looks for himself. His outside shot is coming along and with more practice reps and consistency he will be a big problem for opposing defenses. Lohaus is a heady player with nice size and length at the forward spot. Tanner has shown flashes of being able to take over games with his shooting, his ability to find the open man routinely as defenses work to take him away, and he is becoming more comfortable finishing around the basket also. At 6-6 and with a nice release, he is tough to disrupt once he gets sight of the rim. Lucas is a quick and agile point guard who does what it takes to get the ball in the basket regularly. The 5-11 lead man has great vision in the open court, and finds gaps to punch through where he can score going towards the basket be it with good-angled floaters or carving his way all the way for lay-ups. As his body has continued developing, he is becoming more stout defensively combining his instincts with the physical demands of that aspect of the game. 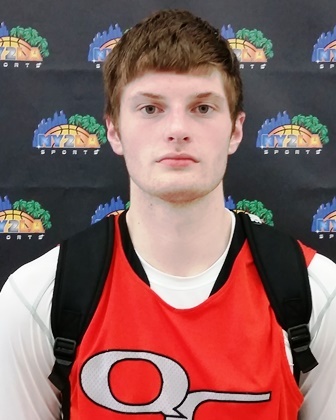 McCarty is a physical player on the interior who is not afraid to mix it up in the paint both on offense and defense. Offensively, McCarty brings some flexibility as he can hit the mid-range shot consistently and follows shots up well to give his team extra opportunities. Defensively, he holds his ground well and is constantly active. Oliver is very athletic with good length and outstanding versatility. At 6-4 he has shown that he can battle on the interior, especially when he can face up and utilize his quick burst to offset size in the post, but he can also make shots from beyond the arc with comfort. Defensively, Oliver is tough and quick with good instincts... he can rotate several positions because of his athleticism too. Parker is starting to come into his own as a player, coming off a state championship run with his high school team and looking to use momentum moving through the spring. Parker is a versatile offensive threat with good athleticism who utilizes a multitude of moves to get past, through or over defenders to get the basketball through the nets. Pettigrew is a developing young prospect with a good skill set offensively and gets after it well on the other end. Pettigrew picks his shots well and is usually efficient from 18 feet and in, but does best attacking the basket. He is a strong rebounder for his size by positioning himself well typically. Popp is a tough and athletic guard standing roughly 6-4 now who has shown he can man the point when he needs to, or can rotate out as a shooting guard. With his strength and quickness in the back court, Popp opens himself up by not wasting movements finding gaps well. Defensively, he holds nothing back and is a constant disruption for his opponent. Another athletic wing prospect, Roby brings excellent instincts and has really stretched out physically over the past year, adding some good length to the both sides of the floor for the Sophomore. 6-7 now, Roby is able to hit outside shoots confidently, but has become really tough catching from about 15-18 feet and being able to work defenders off the dribble with good footwork and positioning going to the rim. Now 6-4, Schmitz is a good-sized 2 guard who has a nice offensive skill-set to work with. Schmitz knocks down the triple with good regularity, but can also take it to the basket with some smooth dribble penetration, particularly down the lane-lines where he finishes well off that angle with either hand. He has also elevated his on-ball defense which will help him moving forward. Thornton is one of those players you let loose and say put the ball in the hoop, and he is going to find a way to do so. He showed he can score it transition with good body control, he can hit the pull up jumper, but he certainly is a sharp shooter from three-point land, always a threat offensively when he is on the court. Still developing his overall offensive game, Treder has shown flashes inside on that end of the floor, turning off the block with a decent sky hook. The 6-10 Sophomore is getting better holding his position on rebounds and is already a pretty tough shot blocker utilizing his excellent length. At 6-5, Wendt is long, athletic and has a motor that just doesn’t quit. He is constantly attacking the boards on offense and defense, plays aggressive and holds his ground inside and can run the floor well on the break. 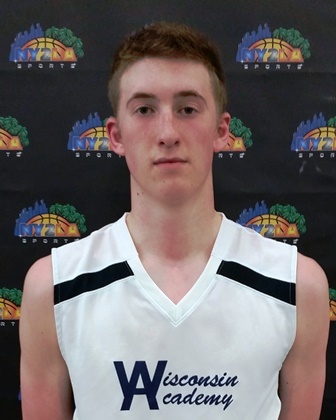 Wendt is still developing his offensive skill-set but he finishes well around the basket and has displayed the ability to hit shots away from the hoop at times also. Wilman provides a good punch to his team’s lineup on either end of the floor as he is really starting to own his space defensively, using his body more to battle. Offensively, the 6-6 forward can knock down shots away from the hoop and is developing some more skills from the blocks as well.